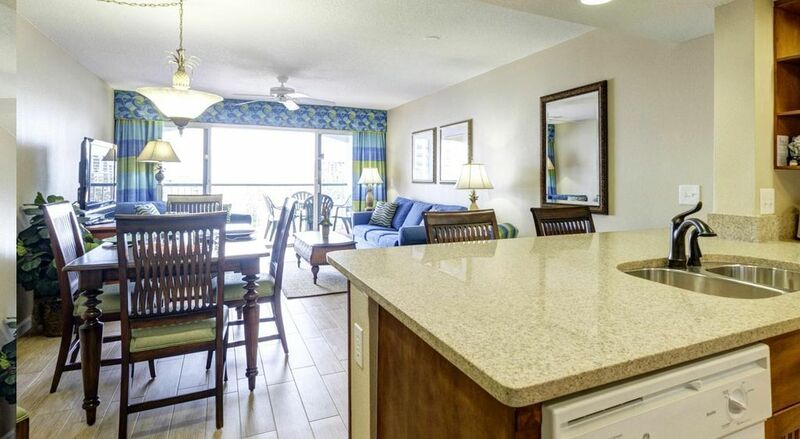 This is a very nice and clean condo resort on Cocoa Beach. 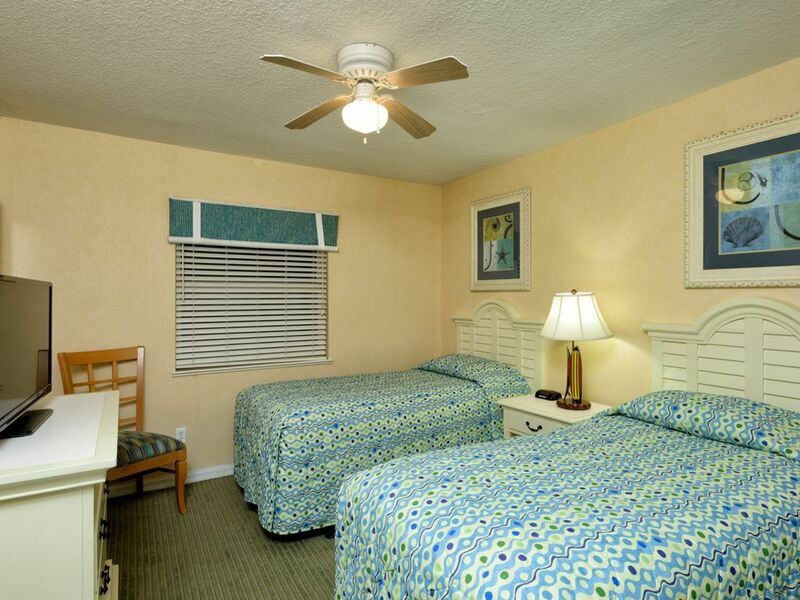 The convenient location brings you close to Kennedy Space Center, Port Canaveral and within an hour from Orlando, FL. 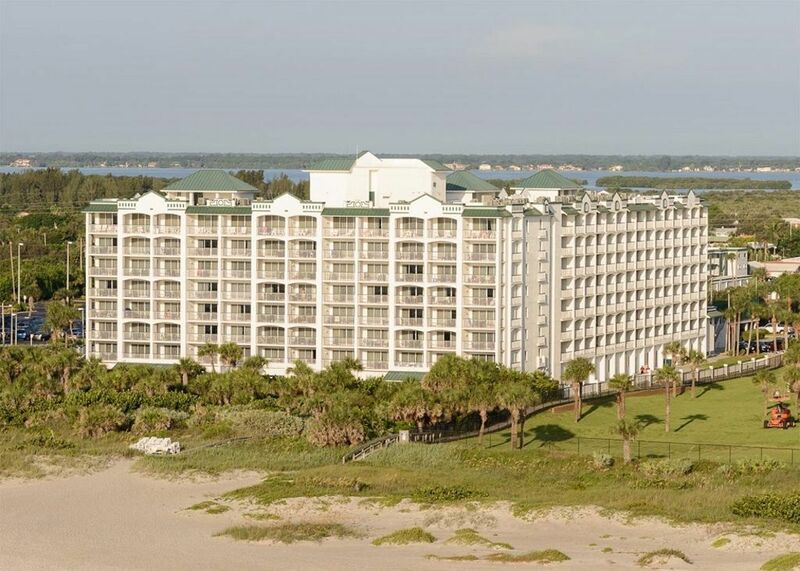 The resort is located on Cocoa Beach and the condo provides a view of the Atlantic Ocean from the side of the building. 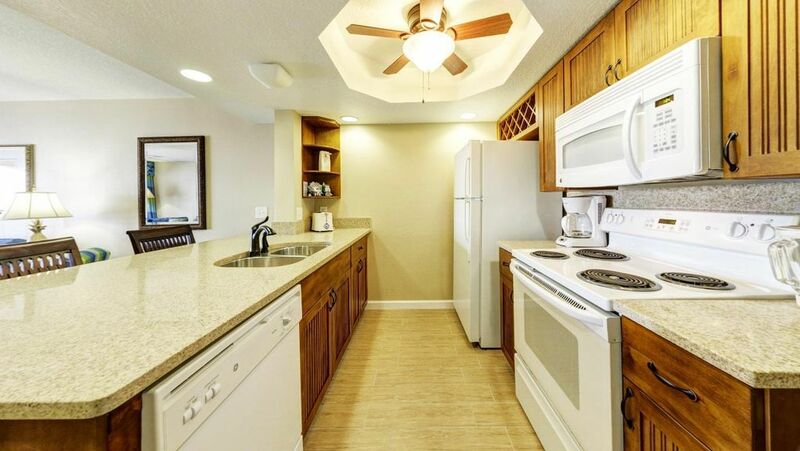 This two bedroom condo has two full bathrooms and a full kitchen. The condo sleeps up to six people. It is equipped with a washer and dryer. There is a TV in each bedroom and the living room. The master bathroom features a jacuzzi tub. 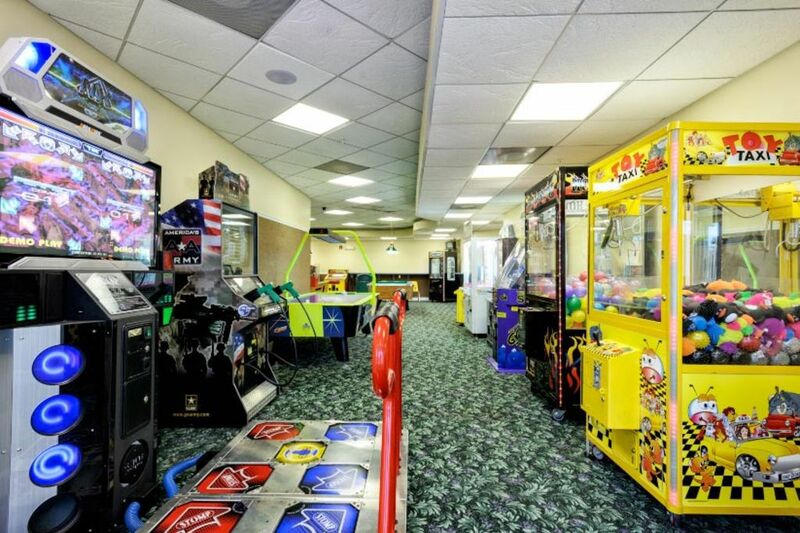 This is an amazing condo resort on Cocoa Beach with lots of space, very clean, well maintained, and plenty of amenities. 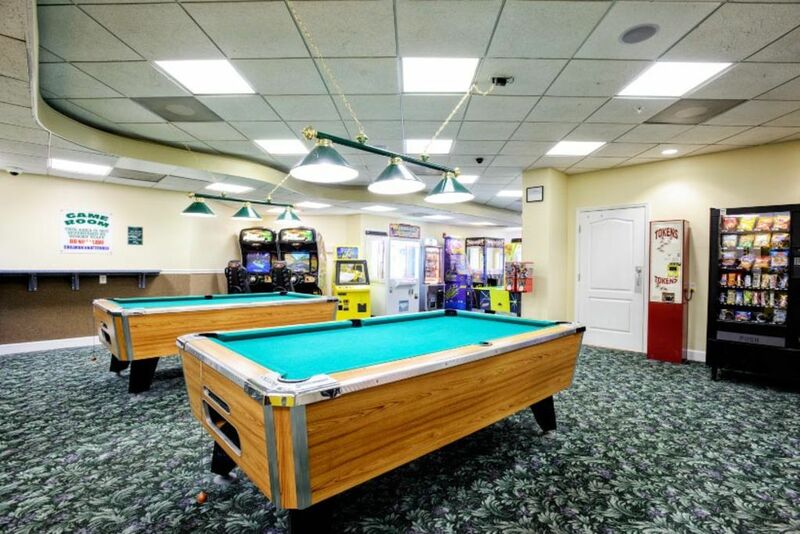 There is a large heated Outdoor Pool, Hot Tub, Sauna, Tiki Bar, Fitness Center, Mexican Restaurant on-site, Tennis, Basketball, Pool Volleyball, Shuffle Board, Ping Pong, a Game Room, Billiards, a Movie Theater, a BBQ Area, and Complimentary Wireless Internet. Nearby you can enjoy surfing, golfing, kayaking, parasailing, deep sea fishing and Kennedy Space Center just to name a few! 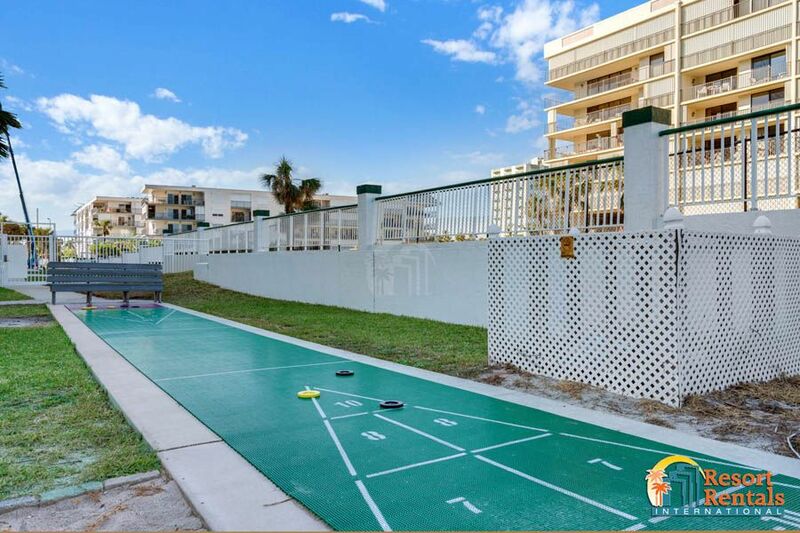 This condo resort on Cocoa Beach offers a great vacation getaway which can be as active or as relaxing as you choose to make it. Very clean. 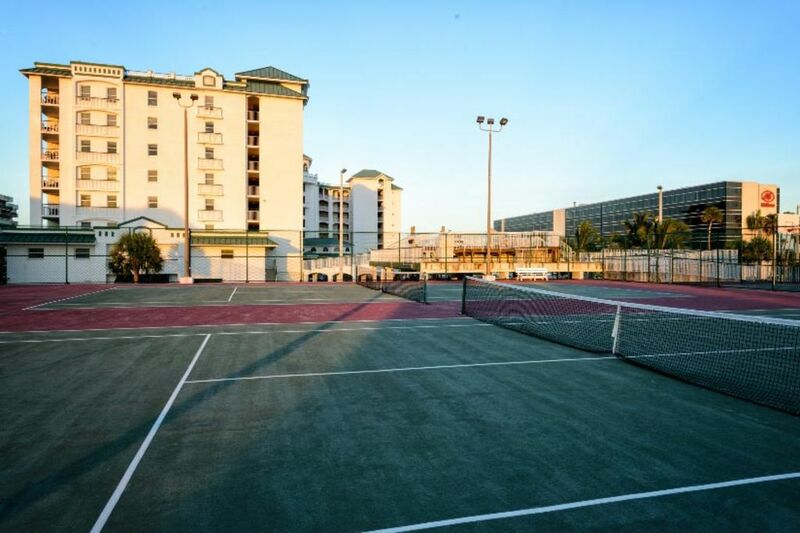 Boys had a wonderful time playing tennis, basketball, being right on the beach or having a pool with live music. Just a very relaxing time, but also had a festive feel with the music at the pool and the Tiki bar. They watched a movie in the theater there. We all loved the Mexican restaurant, Azteca that is downstairs. Food was delicious. I especially enjoyed sitting out on the balcony listening to the ocean. Condo was very nice, though we only slept there. Beach is right out the back door. We saw a sea turtle come up the beach late at night and lay eggs...it was amazing. Staff were very helpful. 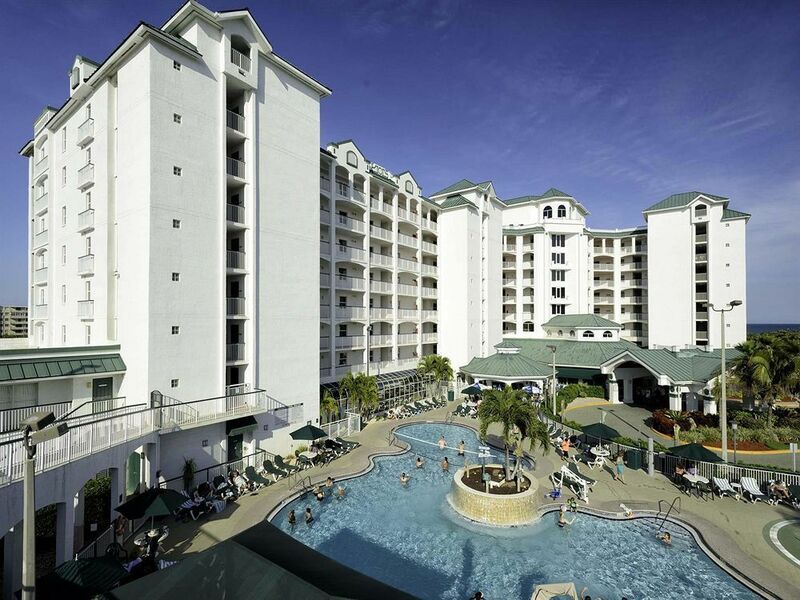 We will come to this complex again when we are in Cocoa beach. Even got to park our car under a canopy, out of the sun and rain. Great place. 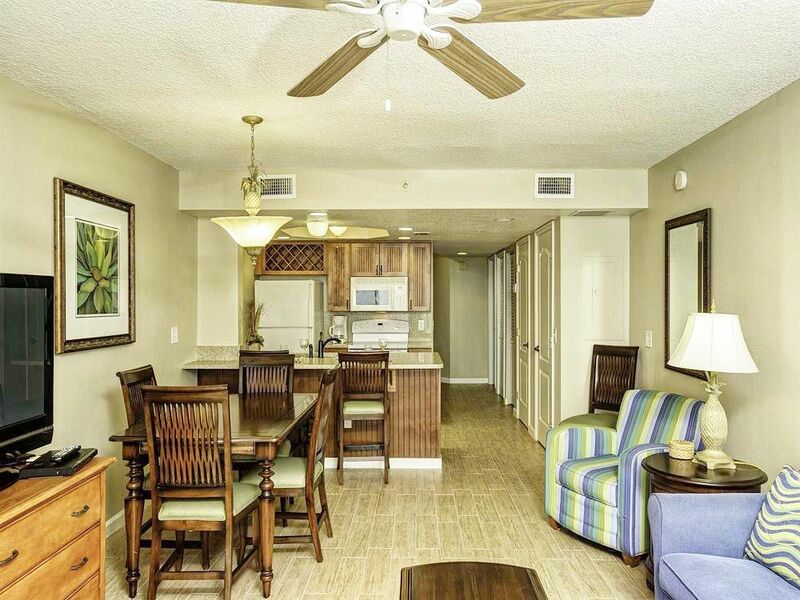 This beach condo was comfy and spacious with all the amenities of home. 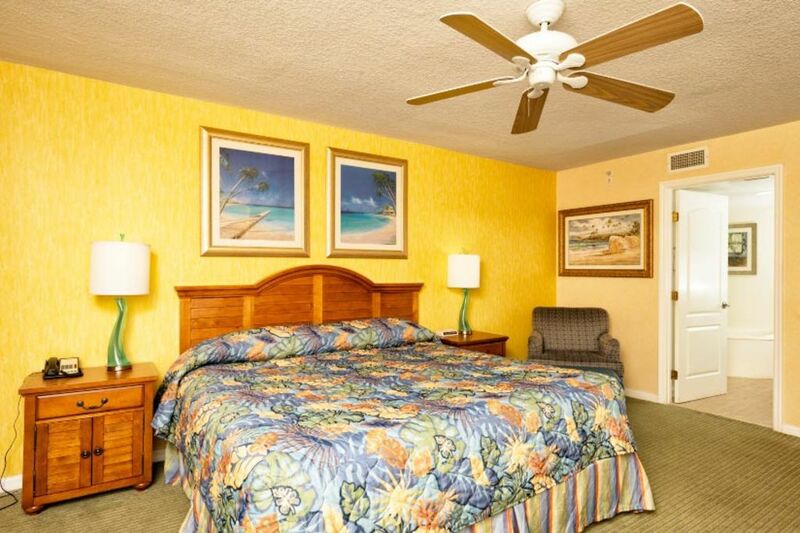 The pool area is well-maintained and attractive, and there is a short walk across the boardwalk to the beach. Sand on Cocoa is great for building sandcastles and the waves are great for playing. 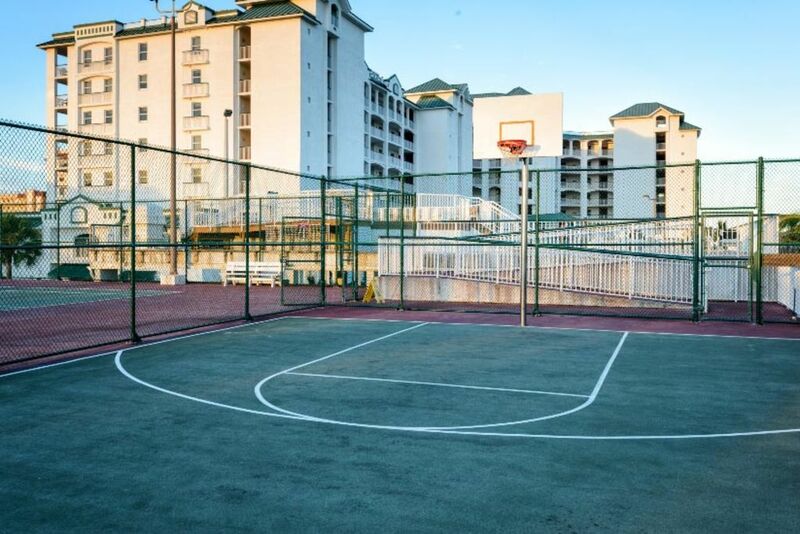 This condo's location is central on the strip with plenty of restaurants and entertainment close by. We would stay here again! 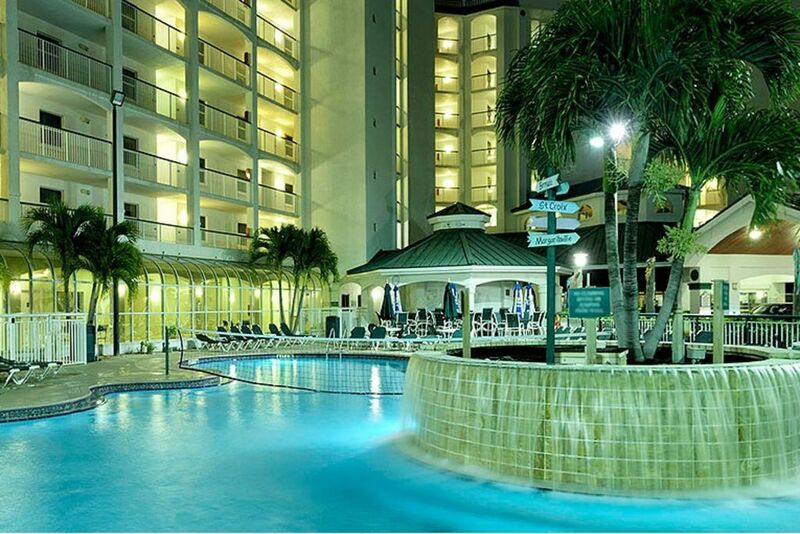 We stayed at The Resort on Cocoa Beach for five nights over New Years. 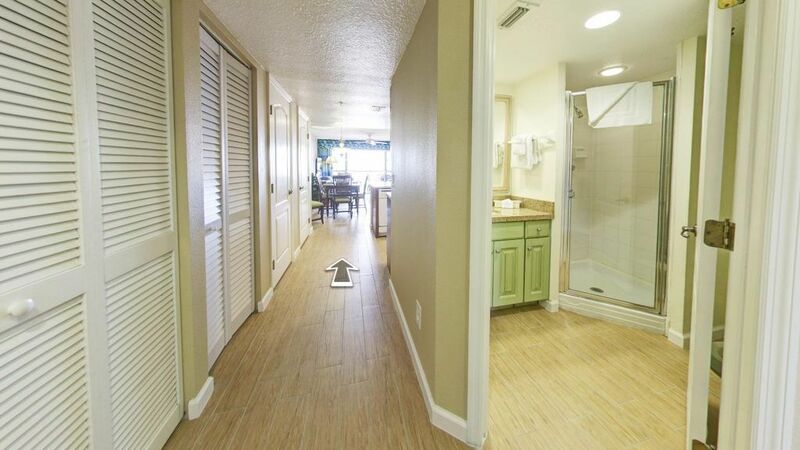 Although this is a time-share property, you can book rooms independently (as did we.) 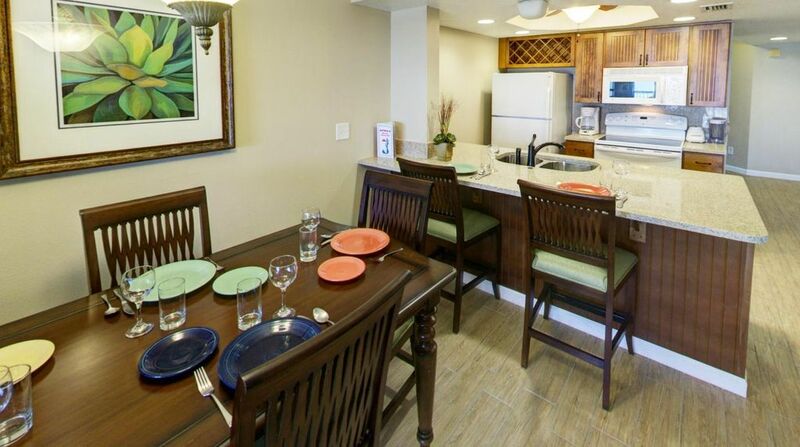 The Resort is comprised of two-bedroom units on eight floors (no rooms on the first floor). 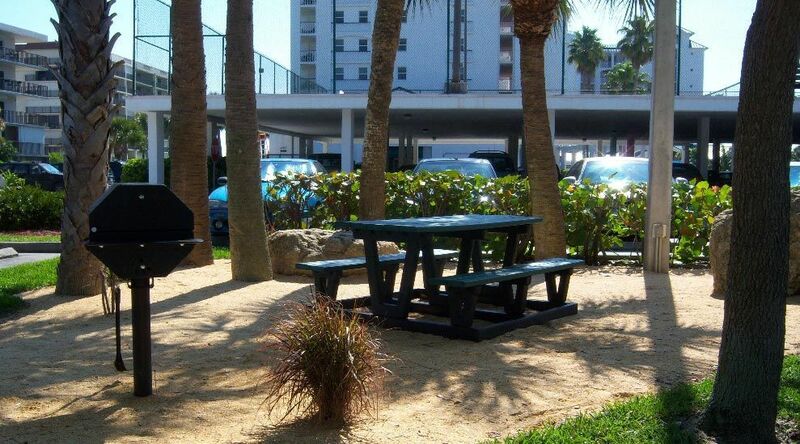 The building is "L" shaped, so the units that face East are direct ocean front, and the other half that face the North have a partial ocean view. An important note: half the units in each category have a "full balcony"; spanning both the living room and master bedroom, the others have a "half balcony"; spanning the living room only. (As we reserved a partial ocean view, we were fortunate to be assigned an eighth floor unit, close to the ocean with a full balcony, #808.) 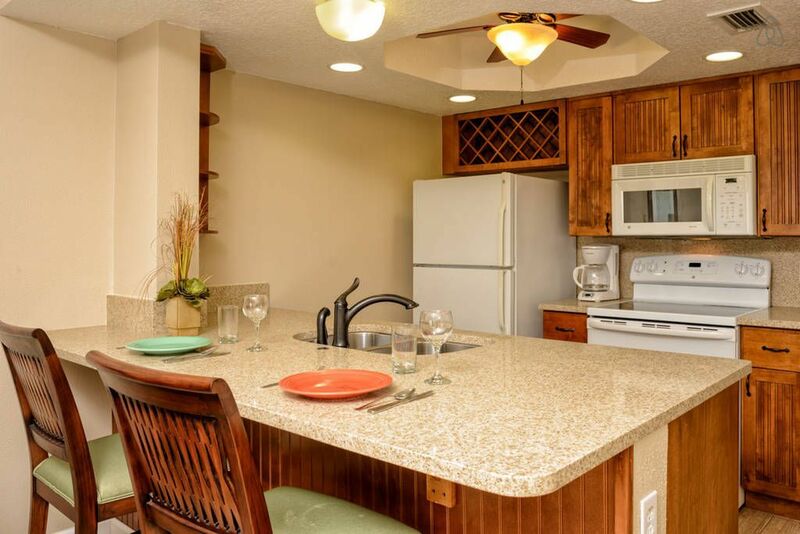 The accommodations are spacious, the kitchens well-fitted, two bathrooms (the master with a spa tub and shower, the second with a shower only), washer and dryer in unit, and a fresh and bright "beachy" decor and furnishings. There is a free-form tropical pool (pleasantly warm!) and a separate kiddie area with a water feature. (Although it is not located on the ocean, it was on the South side of the building which afforded sun for most of the day.) 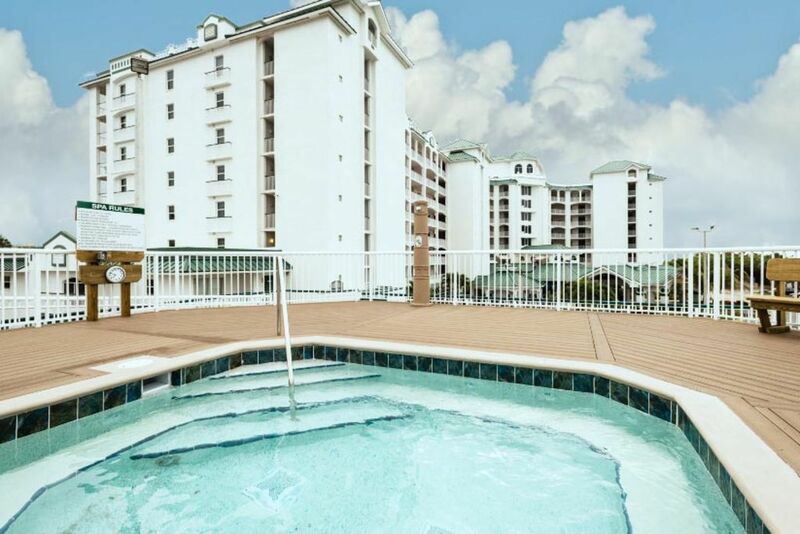 There is also an adjacent hot tub deck. The pool bar was open each afternoon and the daily live music was an unexpected treat! 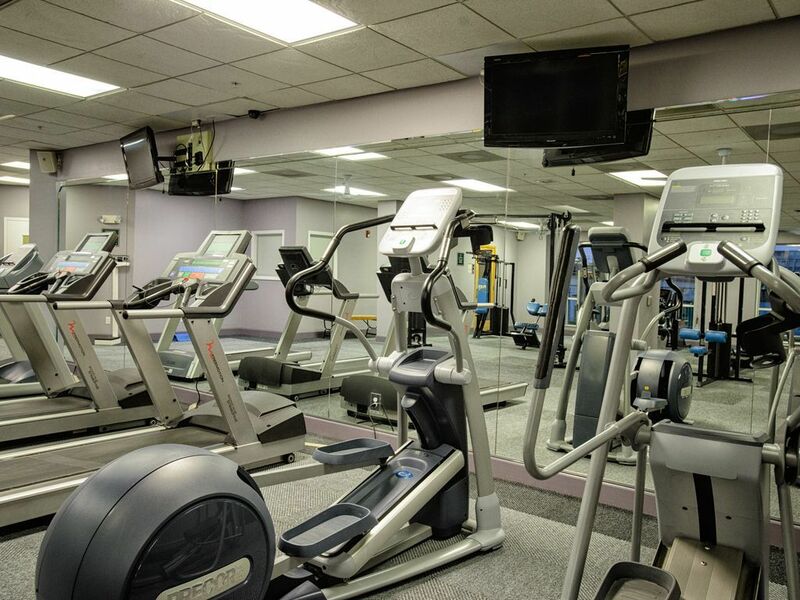 The staff we encountered were polite, pleasant, and efficient. 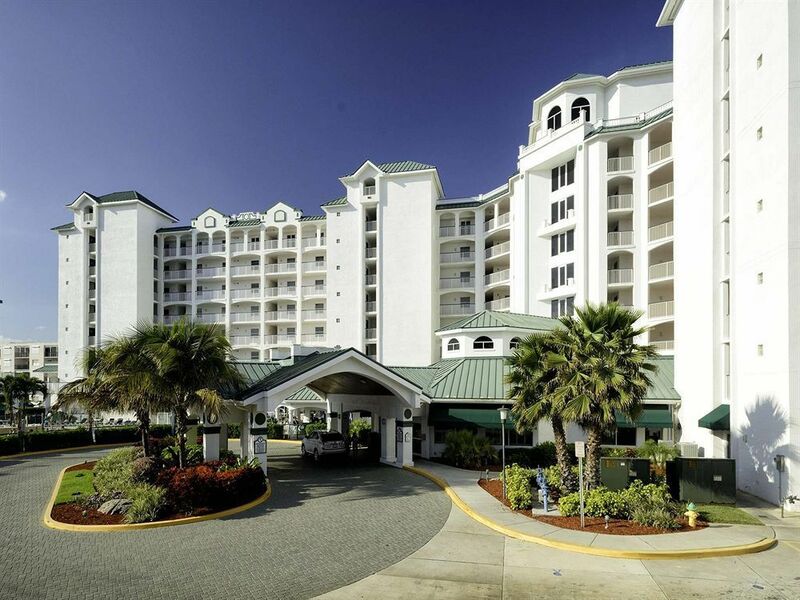 The Resort is located within walking distance of several nice restaurants and bars, and there is a large Publix grocery store two blocks away. 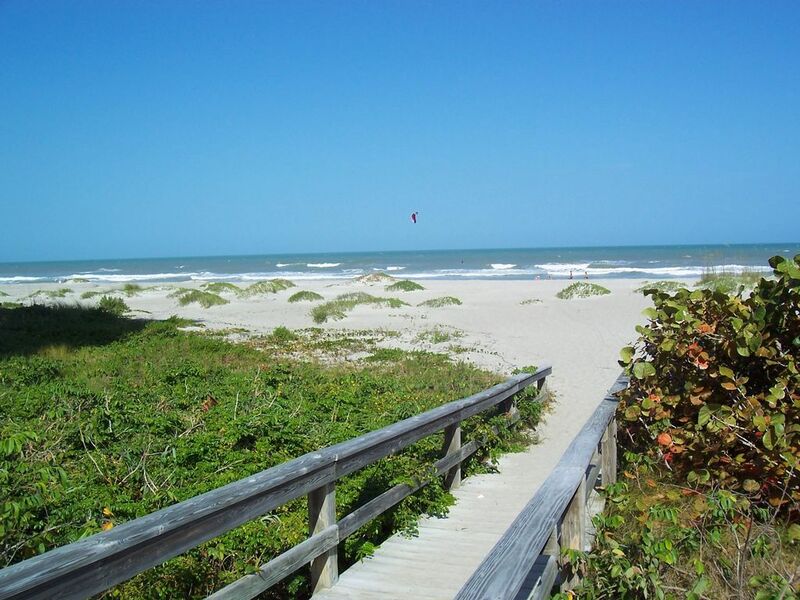 The Cocoa Beach Pier is about two miles to the North of the property. A lovely swath of beach fronts the Resort and on our numerous beach walks we often saw dolphins and rays! This place exceed our expectations and if were ever to venture back to Cocoa Beach, it would be a disappointment not to stay here again! This was a great place. Condo was very spacious, clean and comfortable. Pool was fun with bar nearby. Beach very pretty. Close to everything. Would highly recommend it. We will definitely book again when we return to the area. Loved Ocean Front view. Condo was clean. Enjoyed the pool. Would recommend this property.